Kozhanov Murat Galiaskarovich assistant, master. The first graduate in “Information Security Systems”. 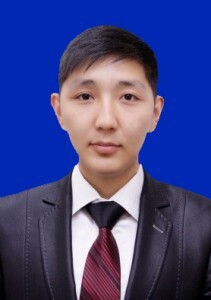 In 2016, he graduated from the magistracy with a degree in Computer Engineering and Software at Karaganda State Technical University. The area of ​​scientific and engineering interests is knowledge management based on a domain ontology model at the junction of several specialties (IT-medical, IT-architect). Plans to develop a system for designing educational programs at the junction of several areas: IT-medical, IT-architect, etc. Total work experience, together with training is 10 years.